Have Big Pharma undermined the case for screening through their grip on dementia policy? Certain General Practitioners are ‘on heat’ as they take great delight in identifying that dementia does not meet current screening criteria, but they are missing their targets of creating maximum fuss but totally missing the point. In their narrow world, they define “benefit” as a treatment such as a magic bullet. “Benefit”, I believe even under the Wilson and Jungner (1968) construct, can mean something much wider, and ultimately the authors give a very big sense of this being for the benefit of the person or patient not the benefit of the physician. We simply have a lack of evidence base for living well with dementia, due to charities which focus on cure, care and prevention. Without this evidence, we cannot say, any of us, however big or small in the medical establishment or outside, that there’s “no benefit”. Carts and horses spring to mind. This is a good case of medical hierarchy being utterly irrelevant to ‘who is right’, and more importantly ‘what is right’ for the person trying to live well with dementia after his or her diagnosis. There’s no doubt about it. There’s been an intense policy drive to encourage people with memory problems ‘to present themselves’ for early diagnosis, and various devices have been used to encourage this, including participating in drug research (hence the extreme media publicity for a ‘drive for a cure’). Screening for dementia is a pot of gold for the ‘dementia health economy’, even more so than “Dementia Friends”, as it produces a new market for people who might be eligible for a drug treatment that ‘stops dementia in its tracks’ one day. But some of the confusion has come from the extent to which the screening criteria embraces early symptomatic persons as well as completely asymptomatic ones, and official guidelines, derived from Wilson and Jungner (1968), are not solely for early symptomatic people. But the irony is that the relentless focus on the medical model, without resources going into demonstrating the efficacy of wellbeing interventions as a way of ameliorating morbidity in dementias, including Alzheimer’s Disease, may be ultimately stopping the screening criteria being met, denying access of Big Pharma to this pot of gold. But the way in which Big Pharma has a stranglehold on big charities and research programmes, epitomised by the recent G8 dementia summit in Lancaster House frontloading personalised medicine, could be entirely to blame. Various intellectual frameworks have, for example, been proposed for the screening of dementia in primary care outside of this jurisdiction. For example, this scheme appeared in the following paper. The UK NSC policy on Alzheimer’s Disease screening in adults is in fact clear. A systematic population screening programme is not recommended. The National Screening Committee criteria for appraising the viability, effectiveness and appropriateness of a screening programme are based on the criteria developed by Wilson and Jungner in 1968 and address the condition, the test, the treatment and the screening programme. The need to refine them in the genomic age is illustrated in this statement from WHO in 2008. I have no intention of discussing the usual issues of screening/early detection, such as the distress caused by a false diagnosis, described elegantly elsewhere. A significant stumbling block is that there should be evidence from high quality Randomised Controlled Trials that the screening programme is effective in reducing mortality or morbidity. Clearly, drugs in reducing mortality for Alzheimer’s disease, which is only one type of dementia, have been lacking. 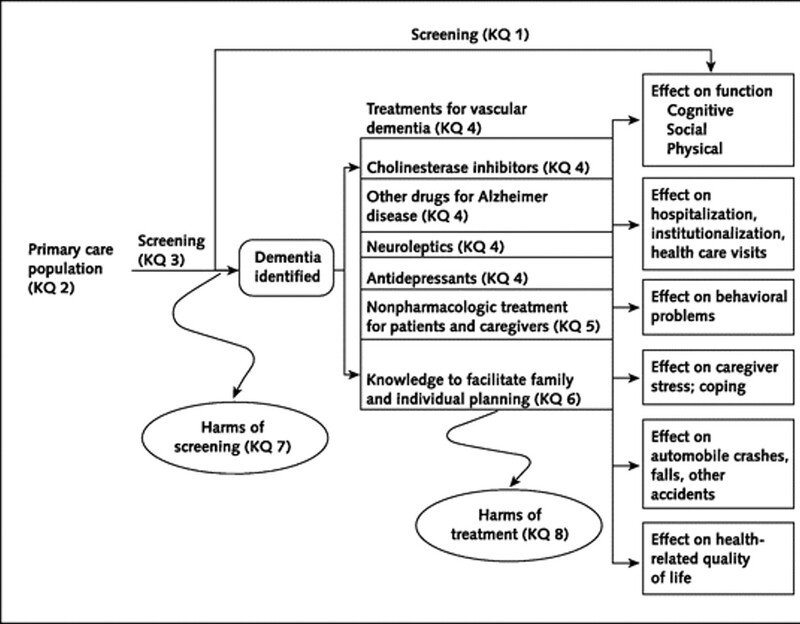 The conclusion that there have been no randomised controlled trials to show that a screening programme for Alzheimer’s disease would be effective in reducing mortality or morbidity. But in fairness there has NEVER been a drive to collect a robust body of information on the long term effects on living well with dementia from an early diagnosis of dementia. Nobody has wished to fund it. The data are lacking. Decades and millions at least have been chucked into the aim that the drugs which ‘don’t work’ (and in fact can have dreadful side effects). It is interesting that the stumbling block is not the lack of pre-symptomatic stage, though interestingly the National Screening Committee never make reference to mild cognitive impairment, which people who do not understand the evidence incorrectly refer to as ‘pre-dementia’. It is argued, for example, that during the pre-symptomatic period there is a gradual loss of axons and neurons in the brain and at a certain threshold the first symptoms, typically impaired memory for events and facts appear. And it’s a useful context to think about the ethos in which the Wilson and Jungner criteria should be applied? Wilson and Junger themselves used the term ‘principles’ for ‘ease of description rather than from dogma’. It is unlikely that any screening programme will be able to fulfil all of these criteria to everyone’s satisfaction in any case. The question therefore arises as to whether each criterion has equal merit, or whether there is a hierarchy of importance using this construct. Wilson and Junger felt that ‘of all the criteria that a screening test should fulfil, the ability to treat the condition adequately, when discovered, is perhaps the most important’. Jungner and Wilson refer to their review of relevant papers in the 1950s, and their criticisms of case-finding in the absence of seeing the big picture are well known from close reading of their paper. (1) Case-finding by multiple screening is a technique well suited to public health departments, whose role is changing. (2) Provision for diagnosis, follow-up and treatment is vitally impor- tant; without it case-finding must inevitably fall into disrepute. Putting all your eggs in the investigations basket has been a discredited approach in the past in neurology. 71 investigators who conduct MRI studies in the United States and abroad took part in a particular study and 82% percent (54/66) reported discovering incidental findings in their studies, such as arteriovenous malformations, brain tumours, and developmental abnormalities. Auhors of that particular paper (J. Magn. Reson. Imaging 2004;20:743–747) proposed that guidelines for minimum and optimum standards for detecting and communicating incidental findings on brain MRI research are needed. So this lack of intelligent thinking from the medical profession has come full circle many years after the original Wilson and Jungner paper. General Practitioners increasingly now recognise the importance and benefits of a timely and explicitly disclosed dementia diagnosis. But it’s argued that there are many barriers to diagnosis at both the physician and patient level. Barriers at the physician level include time constraints, insufficient knowledge and skills to diagnose dementia, therapeutic nihilism and fear to harm the patient. Nevertheless, the primary care setting in England provides unique opportunities for timely diagnosis of dementia. It has just been reported that GPs will be given more leeway to use their clinical judgement in deciding when to offer dementia assessments under a revamp of the specifications for the controversial dementia case finding DES. Under the agreed changes, GPs will still be required to offer the assessments to the same ‘at-risk’ groups of patients on their list, but only if the GP feels it is ‘clinically appropriate’ and ‘clinical evidence supports it’. At-risk groups again include patients aged 60 and over with vascular disease or diabetes, those over 40 with Down’s syndrome, other patients over 50 with learning disabilities and patients with neurodegenerative disease. And, this is broadly consistent with approaches from other jurisdictions. Case finding remains the preferred approach to identifying patients with dementia and Alzheimer disease, according Australian experts, after a US advisory body found insufficient evidence to support universal screening for cognitive impairment in older patients. Wilson and Junger themselves do not, however, specify whether patients, a third party, or society as a whole, should prioritise importance, and the utilitarian part of this economics discussion is lacking in temporal and geographical jurisdiction (in the same way that G8 hopes to meet its objectives likewise). J.S. Mill, in his celebrated essay “On Liberty”, argues that ‘there is no one so fit to conduct business, or to determine how or by whom it shall be conducted, as those who are personally interested in it’. But it is in reality difficult for an individual patient to be objective as to whether his/her health problem is more important than that of another patient or whether he/she deserves scarce resources in preference to others: it is impossible for an individual patient to make that comparison because of patient confidentiality, for example. I feel a fixation on ‘benefit’ as defined through the prism of the Pharma part of the health economy has led to a wilful neglect for wanting to find any beneficial outcomes in wellbeing from a timely diagnosis, such as improved design of the home, design of the built environments, and access to advocacy. But ultimately, regardless of the health economy and the lack of proper scrutiny of the issue, it is persons with dementia and their caregivers who I feel are suffering most, at the hands of the large charities and Big Pharma. GPs and medics are simply unable to say there’s “no benefit” for finding cases of dementia, whether it is screening or not, if the evidence base on living well with dementia is simply absent. Try to put the horse before the cart next time. I loved this letter by Prof Steve Iliffe. It captures a lot of the issues I worry about. I don’t have particularly strong views either way about the diagnosis rates of dementia in England, other than the fact I am mindful that some people wait unacceptably for years before they are formally diagnosed. This is a concern that some persons with dementia may not wish to have a diagnosis of dementia. There is some evidence to support this in fact, because of the documented delay in times for people to seek medical help. There is still unquestionably a stigma for a person receiving a diagnosis of dementia, which is a huge life-changing event for the person involved and those closest to him or her. GPs are brilliant professionals. My late father was one for about 25 years in fact. However, some may be mutually colluding with persons who don’t wish to receive a formal diagnosis of dementia, in that either party may prefer to attribute memory problems to ‘normal ageing’. We do run the risk of pathologising memory problems. Already, receipt of a diagnosis of dementia takes you down a medicalisation pathway as Prof Iliffe states. Pathologising ageing is problematic for very obvious reasons. I also think this letter touches upon a number of ‘misunderstandings’ of dementia care. Just because the medications for memory and attention aren’t that successful for many, there’s a huge danger that people are left with the impression that nothing can be done. Much can be done to improve living well with dementia, including addressing the needs of a person as well as optimising the design of the immediate and built environments. I must admit that I am biased towards the ‘care’ end of making sure care homes are properly affordable, and something to be proud about. I think that preserving the dignity of a person who happens to be living independently well with dementia, such that he or she exerts control and choice, is a perfectly reasonably one. I am reproducing Prof Iliffe’s letter below, with kind permission of Prof Iliffe whom I caught briefly at lunchtime today. The original publication of the letter is here. Martin Brunet (Rapid response 31st October) adds an important point to the timely and perceptive critique of dementia policy and practice by Le Couteur and colleagues (1). The apparent under-diagnosis of dementia in general practice is presented as a problem needing urgent solution. In my experience few are interested in why diagnoses rates are low. Contrary to the rule of no intervention without a diagnosis, remedies and targets are proposed and pursued energetically. I suggest eight reasons why there is a diagnostic gap. Changes in thinking, memory and behaviour are not recognised as significant by the individual experiencing them, or by those around them, who may normalise changes as being part of ageing, due to life events or expressions of the personality. Symptomatic individuals may not accept that anything is wrong and resist further investigation. General practitioners may misattribute changes to ageing, well beyond the point of plausibility. General practitioners may protect symptomatic patients from a stigmatising diagnostic label which could place them on an escalator into disability; in doing so they will protect themselves from the consequences of mislabelling. General practitioners who believe that there are few resources to support their patients with dementia may be slow to diagnose. In some patients diagnosis may appear to make no difference to care, or may perversely worsen it by blocking access to rehabilitation or threatening residency in a care home. Memory clinics may have long waiting lists, which lengthen as demand increases. And finally, a formal diagnosis may be made by a specialist but not get recorded in a way that is captured for the Quality & Outcomes Framework reporting. Different combinations of these (and other) factors may occur in different contexts, making local understanding important. This is not necessarily how the NHS works. The over-emphasis on diagnosis may divert resources away from much-needed community services, in another turn of the Inverse Care Law. Sceptical GPs will be vindicated if low-level support for patients early in the disease course, or palliative care for those at the end of life, fail to meet their needs whilst memory clinics seek extra funding to deal with their backlogs. According to Prof Paradis at Stanford University (2012), presented later by Paradis and colleagues (Paradis et al., 2012) in a public presentation, there has been an apparent ‘epidemic of epidemics‘, with no apparent restriction on the type of disease, on frequency or rates of affliction; there was no growth or contagion threshold. In the forthcoming decades, it is predicted that large numbers of people will enter the ages when the incidence rates of forms of dementia are the highest. People sixty years and over make up the most rapidly expanding segment of the population: in 2000, there were over 600 million persons aged 60 years or over worldwide, comprising just over 10% of the world population, and, by 2050 it is estimated that this figure will have tripled to nearly two billion older persons, comprising 22% of the world population (United Nations, 2007). Stephan and Blossom (2008) from the University of Cambridge state specifically that, “this ageing epidemic, while once limited to developed countries, is expected to become more marked in developing countries.” Supporting this, Sosa-Ortiz, Acosta-Castillo, and Prince (2012) propose that “global population aging has been one of the defining processes of the 20th century, with profound economic, political and social consequences. It is driving the current epidemic of dementia, both in terms of its extent and global distribution.” It could be that stakeholders in the research community, as Paradis (2011) proposes, are effectively competing for “social capital” (after Bourdieu, 1986). Bourdieu’s definition of ‘capital’ extends fat beyond the notion of material assets to capital that may be social, cultural or symbolic (Bourdieu 1986: cited in Navarro 2006). A correct early diagnosis may be clarifying, and appreciated by patients even without disease-modifying treatment, and a diagnosis could be valuable since it allows informed planning for the future (Kaduszkiewicz, Bachmann, and van den Bussche, 2008). A ‘positive test result’ indicating dementia of Alzheimer type (“DAT”) will almost certainly lead to extended follow-up., and that individual being plugged into the system. However, at worst, the diagnosis could lead to stigmatisation resulting in feelings of hopelessness, agony, and despair. The rôle of the clinician and support, such as family members, relatives, friends, and other members of the “dementia-friendly community”, will be to mitigate against this risk. From a legal perspective, a test result indicating DAT could potentially affect insurance premiums (sic), and the right for an individual to hold a driver’s licence, depending on the jurisdiction in question. Certainly, the ethical consequences in falsely diagnosed cases could be grave. Furthermore, as Matthson and colleagues explore (Matthson, Brax and Zetterberg, 2008), If a false positive diagnosis results in treatment, any harmful side effect is a serious infringe on the basic medical ethics principle of non-maleficience, accurately summarised in the Latin phrase primum non nocere (“first, do not harm”). A salutory warning is provided by the well documented discussions of the communication of obesity as a public health issue. The very fast increase in mass media attention to obesity in the U.S. and beyond seems to have many of the elements of what social scientists call a ‘moral panic’. Moral panics are typical during times of rapid social change and involve an exaggeration or fabrication of risks, the use of disaster analogies, and the projection of societal anxieties onto a stigmatized group (Cohen, 1972; Goode and Ben-Yehuda, 1994). 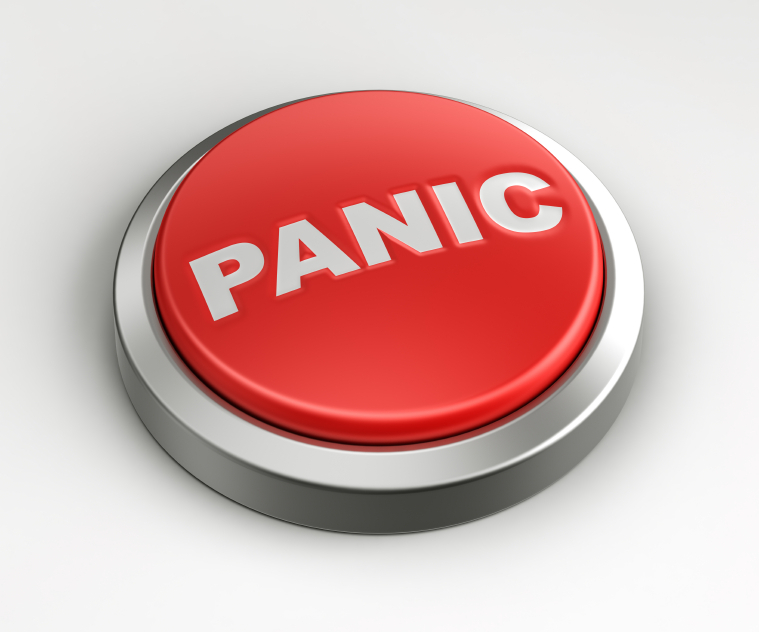 Moral panic is a term usually used to describe media presentation of something that has happened that the public will react to in a panicky manner. Moral panic has a tendency to exaggerate statistics and to create a ‘bogey-man’, known as a ‘folk-devil’ in sociological terms. In recent years moral panic and media presentation have covered a wide-ranging number of topics from HIV/AIDS in the 1980s to immigrants into the UK in the 2000’s. Moral panic goes back as far as World War One when the wartime government used the media to portray the Germans in a certain manner in the hope of provoking a response. The conduct of the media is pivotal in all this. Despite arguably the very weak evidence that obesity represents a health crisis, scientific studies and news articles alike continue to treat the population’s weight gain as an “impending disaster”. A content analysis of 221 press articles discussing scientific studies of obesity found that over half employed alarming metaphors such as ‘time bomb’ (Saguy and Almeling, 2005). The fundamental problem is that there is no adequate treatment for the commonest type of dementia, DAT, and yet authors still talk in a language suggesting that it is possible to treat this epidemic successfully. For example, Korczyn and Vakhapova (2007) in their article entitled, “The prevention of the dementia epidemic”, cite polio as an example of an epidemic which was successfully ‘treated’. In a remarkable paper, Bethan Evans (2010) considered the characterisation of obesity as a ‘threat to the future nation’ through considering obesity as a biopolitical problem – which simultaneously addresses the individual body and the ‘population’ (Foucault 1997) – and as a form of “pre-emptive politics”. According to Massumi (2007), pre-emptive action is not legitimised through ‘scientific truths’ established to know the future, but through the (re)production of ‘affective facts’ which make potential futures felt in the present. This ensures ‘any action taken to pre-empt a threat from emerging into a clear and present danger is legitimated by affective fact of fear, actual facts aside’ (Massumi 2007). An example of this use of language is seen in the report of Alzheimer’s Disease International (2012) on stigma in DAT. They clearly wish the reader to project to the future. The authors of that particular report cite numerous examples supporting their thesis than an early diagnosis is beneficial. For example, they state that, Scotland’s national dementia plan includes ‘overcoming the fear of dementia’ as one of its plan’s five key goals. This plan seeks to improve access to diagnosis by providing general practitioners with information and resources. If the “dementia epidemic” is a real one, according to Nepal and colleagues (Nepal et al., 2008), policy strategies to deal with the dementia “epidemic” could be informed in a number of ways. The prevalence depends upon interaction of age with other factors (e.g., co-morbidities, genetic or environmental factors) that in turn are subject to change. If onset of dementia could be postponed by modulating its risk factors, this could significantly affect its incidence (e.g. review, Treves and Korczyn, 2011). The need for longitudinal and population-based data that would enable analyses of resource allocation and cost implications has been identified (Wimo and Winblad, 2004). Conducting prospective intervention studies is an established approach to test alternative policy models in the field, but these studies require substantial investment in time and resources. Computer-based dynamic microsimulation models are an ideal alternative to these, as the computer simulations provide an opportunity to test a range of policy options in a virtual world in a shorter time frame. Nonetheless, this debate is better ‘out than in’, and should be conducted openly for the benefit of those individuals with dementia, and their most immediate people in their community, including partners, friends, relatives or family members. Even charities have been known to use terms such as ‘epidemic’ and ‘timebomb’ in common parlance, and the debate above could go some way into explaining why the word “early” in dementia diagnosis has been replaced by “timely” in most UK circles. As we are all relatively new to the dementia journey, some more than others, it is appropriate we stop to think before rushing at full speed into an uncontrollable situation about communication. Alzheimer’s Disease International (2012) World Alzheimer Report 2012: Overcoming the stigma of dementia, London: Alzheimer’s Disease International, available at: http://www.alz.co.uk/research/WorldAlzheimerReport2012.pdf. Bourdieu, P. (1986) The forms of capital. In J. Richardson (Ed.) Handbook of Theory and Research for the Sociology of Education (New York, Greenwood), 241-258. Cohen, Stanley. (1972) Folk Devils and Moral Panics, Routledge: New York. Department of Health (2002) Annual report of the chief medical officer 2002: Health check, on the state of the public health, available at: http://webarchive.nationalarchives.gov.uk/+/www.dh.gov.uk/en/PublicationsAndStatistics/Publications/AnnualReports/DH_4006432. Evans, B. (2010) “Anticipating fatness: childhood, affect and the pre-emptive ‘war on obesity’”, Trans Inst Br Geogr, 35, pp. 21–38. Foucault, M. (1997) “Society must be defended: lectures at the Collège de France 1975–76 Translated by Macey, D.”, London: Penguin. Goode E, Ben-Yehuda N. Moral Panics: The Social Construction of Deviance. Malden, MA: Blackwell Publishers, 1994. Greenland, S., Last. J.M., and Porta, M.S. (2008) A dictionary of epidemiology, New York: Oxford University Press. Kaduszkiewicz, H., Bachmann, C., and van den Bussche, H. (2008) “Telling “the truth” in dementia-Do attitude and approach of general practitioners and specialists differ?”, Patient Education and Counseling, vol. 70, no. 2, pp. 220–226. Korczyn, A.D., and Vakhapova, V. (2007) “The prevention of the dementia epidemic”, J Neurol Sci, 15. pp. 257(1-2):2-4. Massumi, B. (2007) The future birth of the affective fact: the political ontology of threat forthcoming, in Pollock ,G. (ed ), The ethics and politics of virtuality and indexicality, Cambridge: Cambridge University Press. Mattsson, N., Brax, D., and Zetterberg, H. (2010) “To know or not to know: ethical issues related to early diagnosis of Alzheimer’s disease”, Int J Alzheimers Dis,. pii: 841941. Nepal, B., Ranmuthugala, G., Brown, L., and Budge M. (2008) “Modelling costs of dementia in Australia: evidence, gaps, and needs”, Aust Health Rev, 32(3), pp. 479-87. Paradis, E. (2011) Changing meanings of fat: Fat, obesity, epidemics and America’s children, Stanford University unpublished dissertation. Saguy, A.C., and Almeling, R. (2005) ‘Fat devils and moral panics: news reporting on obesity science.’ Presented at the SOMAH workshop. UCLA Department of Sociology. June 1. Sosa-Ortiz, A.L., Acosta-Castillo, I., and Prince, M.J. (2012) “Epidemiology of dementias and Alzheimer’s disease”, Arch Med Res., 43(8), pp. 600-8. Stephan, B., and Brayne, C. (2008) Prevalence and projections of dementia, in: Excellence in Dementia Care: Principles and Practice (eds. Downs, M. and Bowers, B), Maidenhead (UK): Open University Press (McGraw-Hill Education). Treves, T.A., and Korczyn, A.D. (2012) “Modeling the dementia epidemic”, CNS Neurosci Ther., 18(2):175-81. Wimo, A., and Winblad, B. (2004) “Economic aspects on drug therapy of dementia”, Curr Pharm Des, 10, pp. 295-301. United Nations Department of Economic and Social Affairs, Population Division (2007) World Population Ageing 2000. Repository at: http://www.un.org/esa/population/publications/publications.htm.